White Christmas Cocktail | Mighty Mrs.
1. Add creme de menth, Irish cream and ice cubs to a blender and blend until smooth. 2. Pour into two rocks glasses. Garnish each with a sprig of fresh rosemary and 3 cranberries. I’ve been dreaming of a white Christmas cocktail for the past few weeks now. As store shelves get packed full with toys and stocking stuffers, ugly sweaters abound, and strings of lights are popping up all over… I can’t help but get excited for the season. The Christmas season is always packed with too many things to do and I never feel like I have enough time to do them all. From baking Christmas cutout cookies to coordinating secret Santas… there are so many fun things to do that it almost becomes, well, not fun. Enter the White Christmas Cocktail. 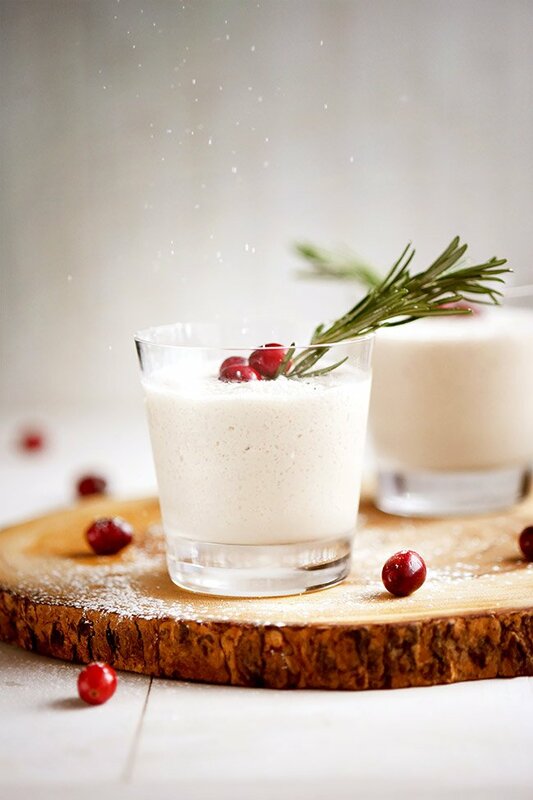 This frosty white beverage is garnished with fresh cranberries and rosemary making it look and even smell so very Christmasy! Rosemary adds a fresh woodsy scent to an otherwise creamy mint taste. Cranberries are just for looks but you can nibble on them when you’re done with the drink if you can handle their tart flavor. If you use your imagination, this frosty white beverage is a lot like a walk in the woods during winter. Luckily though, you can enjoy it sitting inside by a warm fire with friends. Using a blender plus two cordials, this frozen cocktail comes together really easily. Just double or triple this recipe to make more depending on how many people you’ll be serving. Looking for other Christmas or holiday cocktail ideas? Check out my green stinger drink and my raspberry gin fizz cocktail. 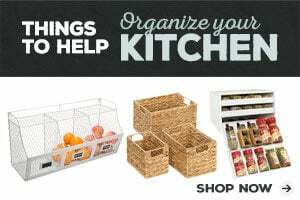 Doing any holiday baking or cooking? Be sure to check out my easy yule log recipe, my favorite Christmas cut out cookie recipe and my other holiday recipes. This white Christmas cocktail was featured on Foodie Friday and South Your Mouth and Inspire Me Monday! Hi Nikki, This makes 2 servings. Depending on the size glass you’re using, you will likely get 2 or 3 drinks. If you use 10oz rocks glasses, you’ll get 2 cocktails.